I have been aware of the young outfit Greta Van Fleet for some time, and it is obvious that they are going to be the next big thing in the US. The first album “Anthem Of The Peaceful Army” is set for release in October and friends of Classic Rock should be aware of these guys, especially if you like stuff like Led Zeppelin. This band is bringing the 1970s back. I do enjoy the new song “Watching Over”. The 12th Uriah Heep album “Fallen Angel” was released 40 years ago this month. 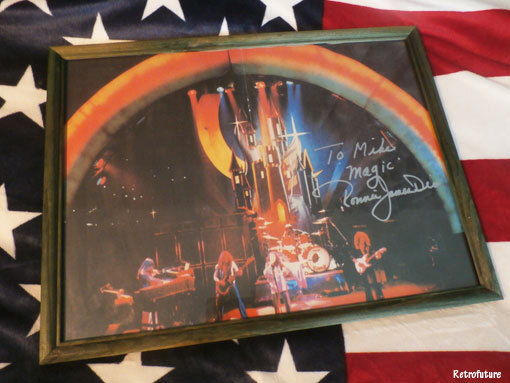 It was the third and final album to feature singer John Lawton, and they were sort of in a free fall kind of situation at the time that they would never really recover fully from, although they have tried. I remember a journalist telling me back in the day that Ken Hensley had told him that he would stick around as long as the money was OK, and he left a couple of years later after the “Conquest” album in 1980. Still, Uriah Heep and John Lawton was a pretty good match, too bad they never really made it. Germany was the big market and that was just not enough. They have done good business in the old Eastern bloc since the 1980s, and Germany is still fond of them to this day. 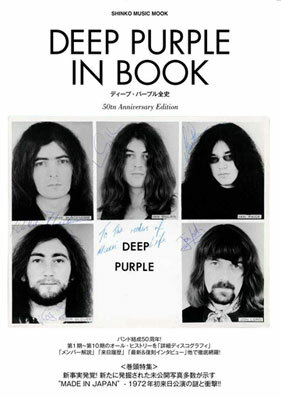 This 376 page book on Deep Purple is set to be published in Japan in early October to tie in with the Japanese Tour over there. It is a celebration of the 50th Anniversary of the band over there, and the title “In Book” is obviously a reference to the “In Rock” album. Visited IKEA in Sundsvall (Sweden) this morning, in good company. We arrived early to avoid the busy hours and it was still quite a lot of people going bonkers in there. 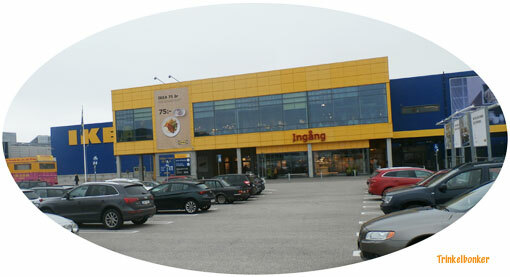 That is pretty much what you do if you visit one of these IKEA behemoths, you go bonkers. You are there to pick up two or three items that you need and you leave with a lot more. Still, since I am in the process of moving into a new house it was a good trip. I have a couple of weeks off work now and next week is when I kind of get things going for real in the new place. Tomorrow I will vote (and thereby be doing my duty as a citizen in a democracy), then I will work on a piece on Swedish rockers Velvet Insane for this blog, then come Monday I will spend time in Stugun preparing for the busiest time so far over there (new furniture arrives on Wednesday so I need to be ready for that). By the end of the week, I should be able to see it all as a functioning home for the first time. The to do list is getting shorter by the day, which is a good thing. Also, Fall is creeping in (it officially kicks in on September 23), and that has to be taken into consideration as well. Without this short break from work, it would have taken longer. Bit of a lucky break. Babymetal have added a show to the Japanese Tour in October at the Saitama Super Arena. Titled Dark Night Carnival, they have invited Sabaton and Galactic Empire as openers. It is highly unusual for Babymetal to have opening acts, maybe this is a deal that will get them to perform Scandinavian shows later opening for Sabaton here? In any case, this gig (on October 28) will take Babymetal back to the old hunting grounds of the 37,000 capacity Saitama Super Arena once again, and you have to wonder what they have in store for this particular show? Babymetal is to open for Judas Priest in Singapore on December 4. The news popped up from official Priest sources and has yet to be confirmed by the Babymetal camp. Still, no denying that this is going to be one hell of a show. Babymetal played Singapore in 2013, so this will be the first time that they are there in five years. Of course, they will do the three festivals in Australia between December 7-9, so this is starting to look like a Far Eastern trek. Babymetal has only opened for the true giants of rock in these parts, namely Metallica and Guns N´Roses. And now Priest!